The Prescott area real estate market is very diverse - remote cabins in the Ponderosa pines, weekend residences for families to escape the desert heat, new planned area developments, homes among the granite boulders near our lakes, horse properties and ranch land, age 55+ subdivisions and manufactured home communities. Within a mile of downtown Prescott, you feel like you are in the large pines of western Washington state, but within a ten minute drive there are the ranchland vistas of Montana. If you have a setting in mind for a home, you can find it in the Prescott area. But you need someone to help sort through all the possibilities. Buying or selling real estate is a large financial and emotional investment, and we all want a knowledgeable, experienced, full-time real estate professional to insure the transaction is handled smoothly. My real estate experience and education are available to insure you receive the "Service you Deserve". I invite you to contact me as I would be happy to assist you with this important transaction. In addition, if you have any questions about buying or selling real estate in Arizona, please contact me as I am more than willing to help. 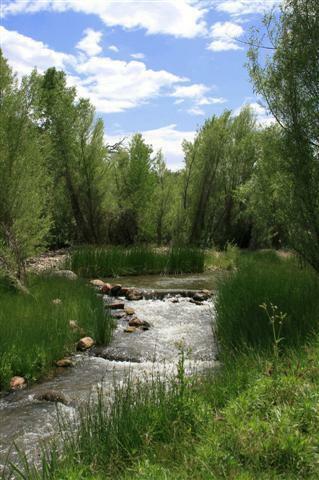 Prescott and the surrounding communities are located in a beautiful part of Northern Arizona. The area continues to be voted one of the best places to live in the United States. Clean mountain air, four seasons and the small town atmosphere make for a comfortable life style. Prescott is considered "Everybody's hometown".